Despite a horrible album roll out, Man of the Woods hits almost all of the right notes. 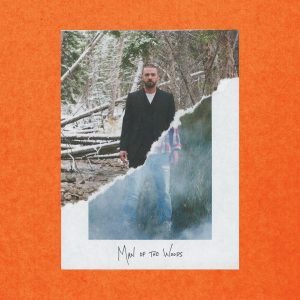 Now, with over 20 years of Justin Timberlake in our lives we have made it to Man of the Woods (2018); an album he described as his most personal and best yet. What’s great about MOTW is that it isn’t trying hard to be anything other than JT. Bieber follows the EDM trends while Bruno Mars creates songs that people swear they’ve already heard. People can say he’s appealing to the country market, but he already showed signs of interest in the genre with 2013’s “Drink You Away” and through his help in pushing Chris Stapleton’s mainstream success. At the end of day, it should not be a debate: Timberlake is the current living king of pop. With the opening single “Filthy”, the listener is treated to a fun and more robotic, but sadly not as catchy, “Sexyback”. Why this was chosen as the lead single instead of the super fun title track, I’ll never know. “Breeze Off the Pond” is a nod back to the Justified days and “Flannel” has a melody with harmonies so layered that you might think you’re listening to a long lost *NSYNC song. You’ll find next level production courtesy of The Neptunes and Timbaland. Songs like “Livin off the Land” and “Morning Light” shine in particular thanks to this team, who are just as much a reason for the record’s enjoyability as JT is. At the same time, with all the positive things said, this is still Timberlake’s second worst album, only superior to the horribly unnecessary The 20/20 Experience – 2 of 2 (2013). A lot of these songs get lost in their own attempt of sounding unique and ultimately come across as fake and bland. “Sauce” “Wave” and “Hard Stuff” are all filler. Other tracks also seem like they could be omitted. Critics will hate this album, they’re going to say it’s fake, it’s easy to. A bad rollout, poor lead single selections, and confusion over how an artist that got famous through R&B music one day decides to go country. The truth however is that this album is much more Marvin Gaye than Hank Williams. Give this record as many listens as you can, because with each extra journey you’ll find more and more to enjoy in the woods. Feature Photo By (Justin Timberlake/Official Website).